Donald Trump net worth is estimated at $4 billion according to Forbes as of 2015. 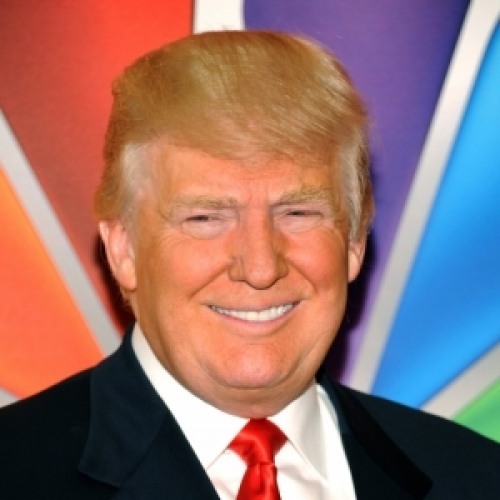 Donald Trump also commonly known as The Donald is an American business magnate, television personality and author. Donald Trump net worth came from his several business including as chairman and CEO of The Trump organization . Trump has many personas and each of them is smart, dynamic and of course rich. Real estate tycoon loves spotlight and has been in the headlines through lawsuits, reality TV and squabbles with other celebrities. The Celebrity Apprentice star, synonymous with his classic dialogue "You're fired," is rumored to craft his hair to maintain his brand. 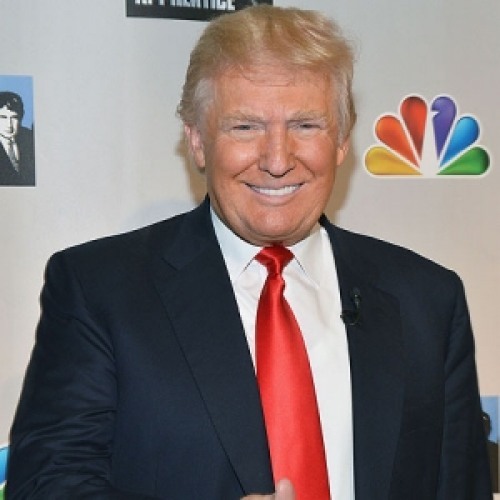 He has dabbled into various businesses which ranges from real estate to airliners, reality television and beauty pageants which sky rocketed the Donald Trump net worth. Trump began his career at his father's company, the Trump Organization, and initially concentrated on his father's preferred field of middle-class rental housing in Brooklyn, Queens, and Staten Island. However he soon diversified and turned his family business into his own unique empire, starting with real estate and going wherever his money and ideas take him which in return accumulated Donald Trump net worth. 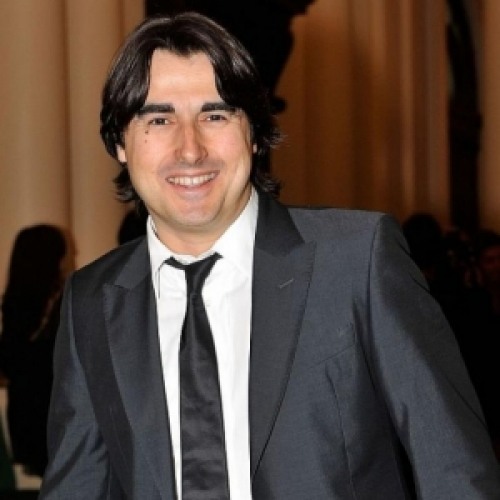 He has further increased his visibility and prestigious reputation through film cameos and primarily as the centerpiece of The Apprentice. And now as per the rumours, he's transcending new boundaries by preparing to run for the Republican ticket in the next presidential election which will surely make Donald Trump net worth grow even bigger. "A little more moderation would be good. Of course, my life hasn't exactly been one of moderation." "One of the key problems today is that politics is such a disgrace, good people don't go into government." Who has done as much as I have? No one has done more in New York than me. I love to have enemies. I fight my enemies. I like beating my enemies to the ground. My style of dealmaking is quite simple and straightforward. I just keep pushing and pushing and pushing to get what I'm after. Those who dislike me don't know me, and have never met me. My guess is that they dislike me out of jealousy. Donald Trump is CEO of the Trump organization which owns over 100 companies. He is the biggest real estate developer in New York and honored with the 2,327th star on the Hollywood Walk of Fame in 2006. 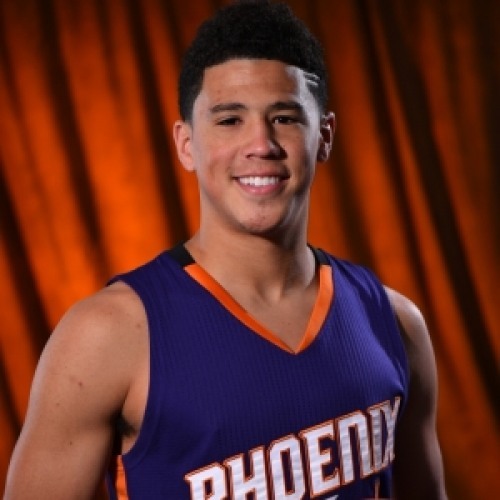 He doesn`t drink alcohol and married 3 times. Donald Trump has never used an ATM machine and gave $10,000 to Gov. Arnold Schwarzenegger to help pay off his campaign debts. 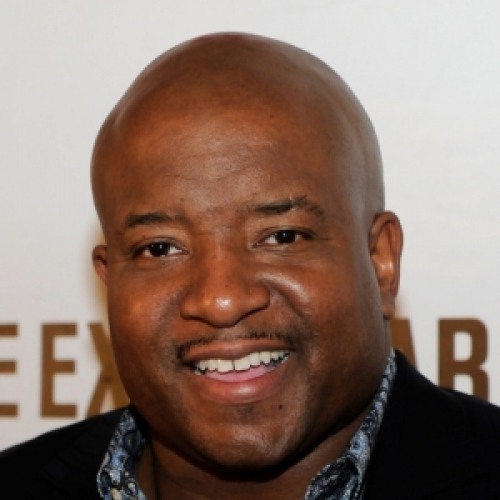 Forbes Magazine reported his earnings at $32 million from entertainment in 2007 and awarded a Star on the Hollywood Walk of Fame in the same year. His salary for The Apprentice is $375,000 per episode. "He also authored many books, one of them named as Think Like a Billionaire: Everything You Need to Know About Success, Real Estate, and Life." He is the biggest real estate developer in New York and was listed at 19th rank by Forbes magazine's Celebrity 100 in 2007. Donald Trump's biggest yacht named Trump Princess and Trump World Tower is the tallest residential tower in the world, with a massive 90 floors. 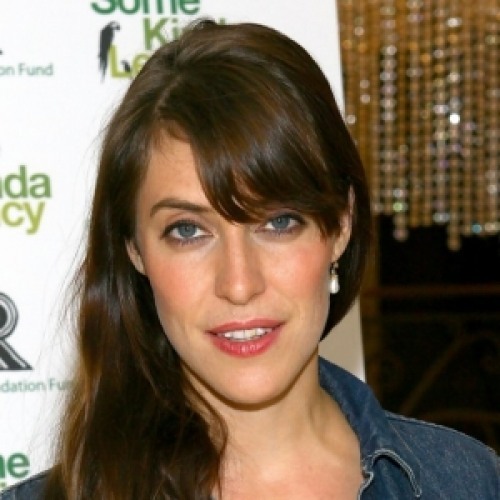 He is a member of New York City's Marble Collegiate Church. 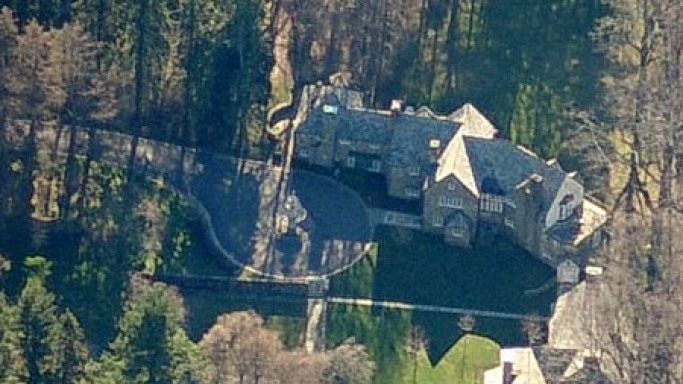 Donald Trump bought a Georgian-style mansion in Bedford, New York for $7.5 million in the year 1995. The residence was constructed on the 200-acre estate has 13 bedrooms, 12 bathrooms, a two-story playroom and a marble, indoor swimming pool. Trump had originally planned to build a golf course in the area, but he faced opposition from the towns of Bedford, New Castle and North Castle, in part because residents feared that pollution from the chemically treated greens would find its way into the Byram Lake reservoir and contaminate their drinking water. Later he decided to drop the idea of golf course and to build 15 luxury homes on the property and renovate the existing ones, including his own. The property came in news when he rented out a corner of his estate for the deceased Libyan dictator, Muammar el-Qaddafi. 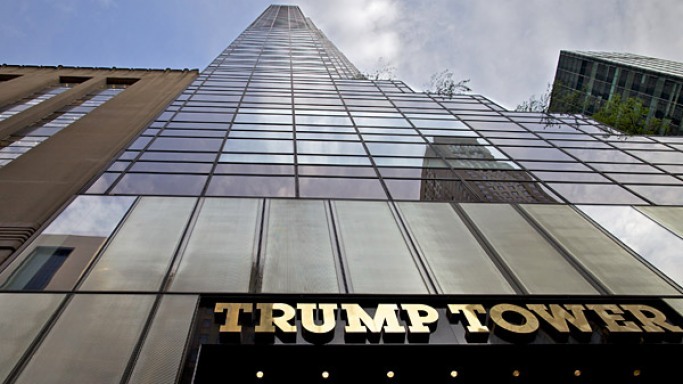 Trump resides in what could be one of the most luxurious apartments in the world. His sky palace is on the 66th floor of the Trump tower and comprises both the above floors as well. The complete 30,000 square feet of apartment is gold plated and has all the luxuries in the world. The tower itself is a wonderful piece of architecture worth of $300 million. Donald's 58-story glass building. The building was designed by Der Scutt. In December last year, Kluge Estate Winery and Vineyard failed to sell at an auction with bidders unwilling to top the Farm Credit Bank's opening bid of $19 million. 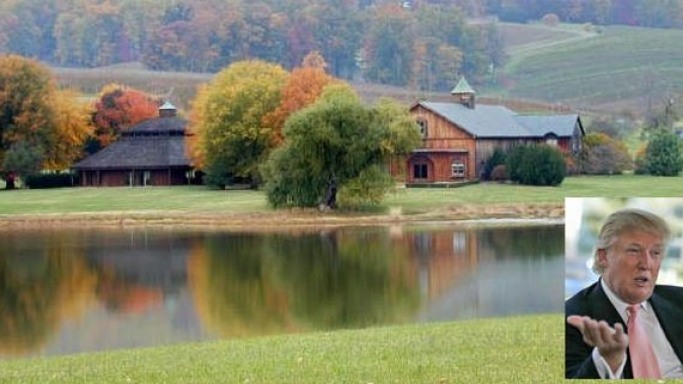 But now, the award-winning Kluge Estate Winery and Vineyard in Charlottesville, Virginia has been bought by real estate mogul Donald Trump and Virginia-based Virginia real estate developer Sal Cangiano. Before the recession, the property was estimated to be worth more than $70 million. Donald Trump owns four golf courses in America. 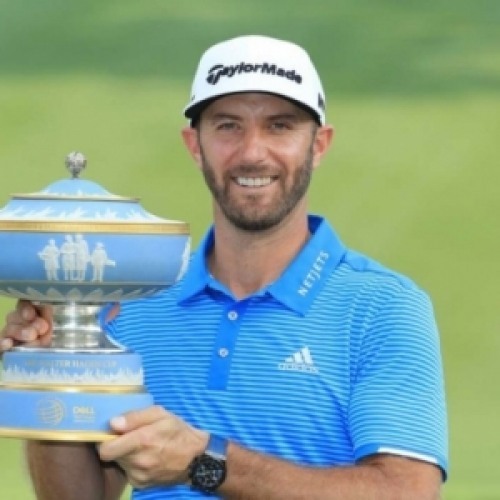 The most famous of the four is Trump National Golf Club, LA which at estimated costs of $264 million is also the most expensive golf course ever constructed. 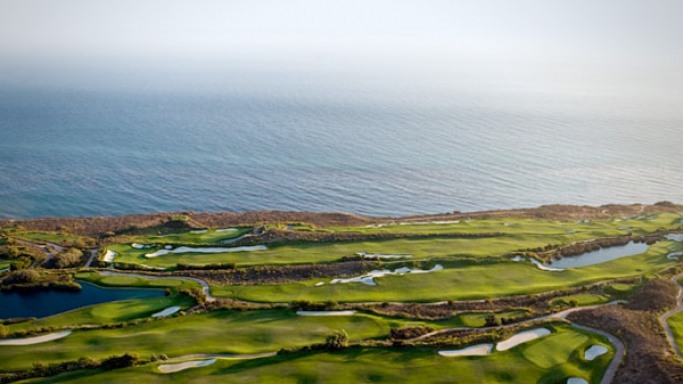 Earlier known as the Oceans Trail Golf Club, Donald Trump bought it in November, 2006 for $27 million, intending to turn it into one of the best golf clubs in the world. Location: The golf course is located on the luxurious Palos Verdes Peninsula just thirty minutes south of Downtown Los Angeles. 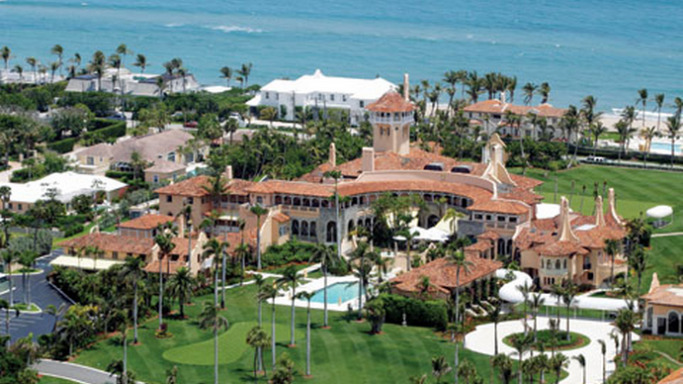 Mar-A-Lago is a grand estate built in 1924-1927 and the grand house on the estate was designed by Joseph Urban. 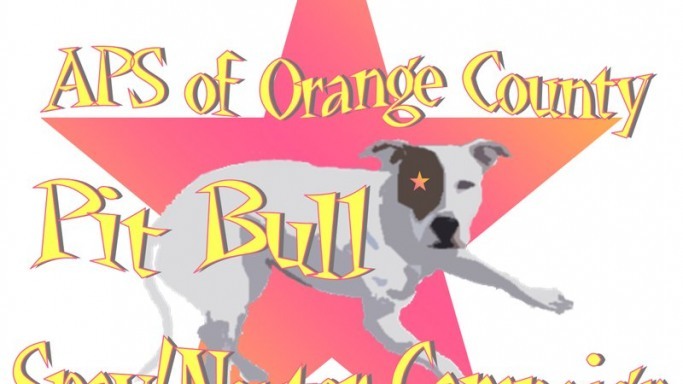 Earlier Mar-A-Lago has frequently hosted the International Red Cross Ball, an annual white tie, tails, and tiara ball but now it is owned by Donald Trump. Donald bought this estate in 1985 for $ 10 million. Donald has spent millions restoring the property to its original glory. Location: The vast estate is located in Palm Beach, Florida. Accommodation: The estate is spread in the area of 62,000-square-foot and the main house of the house comprises of 58 bedrooms and 33 bathrooms. The house also boasts a 29-foot-long solid marble dining table, 12 fireplaces, and three bomb shelters. 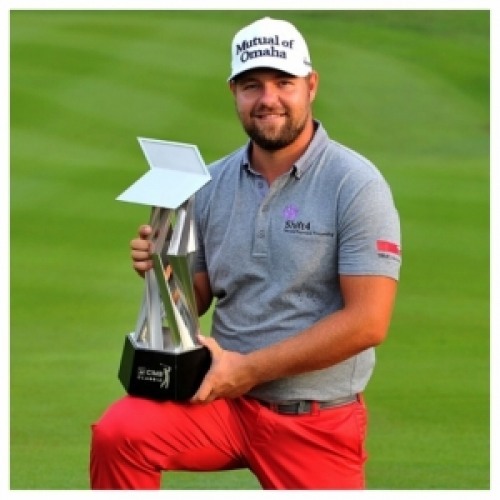 After living in this house for 10 years, Donald has now turned the house in a club/resort which is a place to holiday for many celebs and richi-richs. The estate also has 20,000 square foot ballroom, a luxurious beach club. Neighborhood: Palm beach is one of the favorite spot for vacation amongst celebrities hence many stars have holiday homes on it. Donald Trump owns a $100 million Boeing 757 private jet. The used plane, which was bought from Microsoft co-founder Paul Allen months back, has been luxuriously refurbished to suit Donald’s style. The interior of the Donald’s new Boeing 757 scream luxury from every nook and corner. The jet comes with a private bedroom with a huge, flat-screen TV and a work desk. The bedroom even has the needed closet space, one for Trump and one for his wife, Melania. The private bathroom seems fir for the royals, featuring a circular shower and gold plated sink and faucets. The main cabin area features comfortable cream-colored couches. While the ceilings of the jet are done in suede, the sides of the plane flaunt refinished wood paneling. 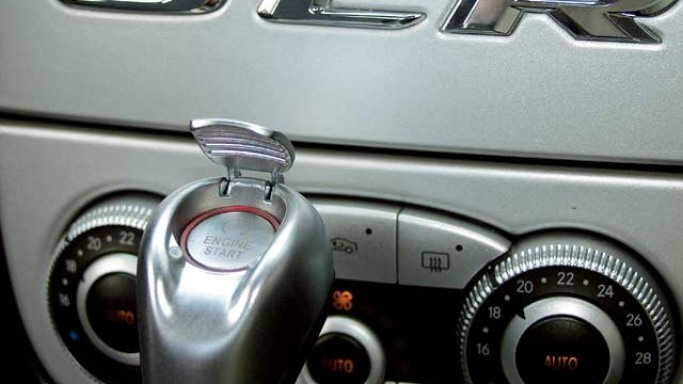 Luxurious attention has been paid to every detail, as even the seat belt buckles boast gold leaf detailing. Since, it’s a Donald Trump’s thing, the plane, with seating for 43, comes festooned throughout with the Trump name and family crest. Trump owns a Sikorsky S-76B, which costs approximate;y $10 million. Like his all other toys, Trump has branded the copter with his name making it one of the most recognisable copters in the world. He uses the helicopter for dropping between his various estates in the United States. Donald also owned two BV234 Chinook N225RA helicopters, which was a part of his shuttle service, Trump Shuttle Inc. He used these to shuttle his clients from Manhattan to casinos in Atlantic City. 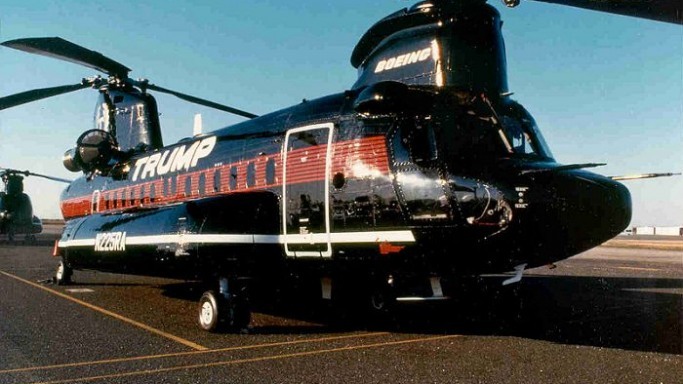 A recession stricken economy forced Trump to sell both of these to Columbia Helicopters Incorporated in 1991. Donald Trump has a keen interest in golf which explains why he owns four golf courses spread in different corners of the country. 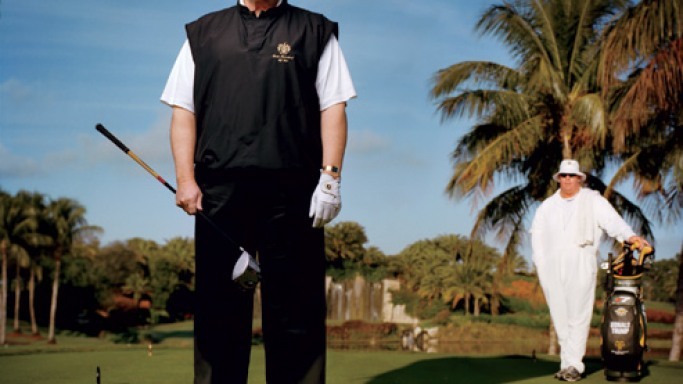 As he comments “For years golf has been my passion and I like having courses where I spend time.” He is 5 handicap and hold the ownership of Trump Golf Management, LLC, a privately held company which overlooks his golf interests and maintains his golf courses, which include Trump National Golf Club in Westchester, N.Y., Trump National Golf Club in Bedminster, N.J., and Trump International Golf Club in Palm Beach, Fla.Trump’s investments in the golf industry now exceed $200 million. 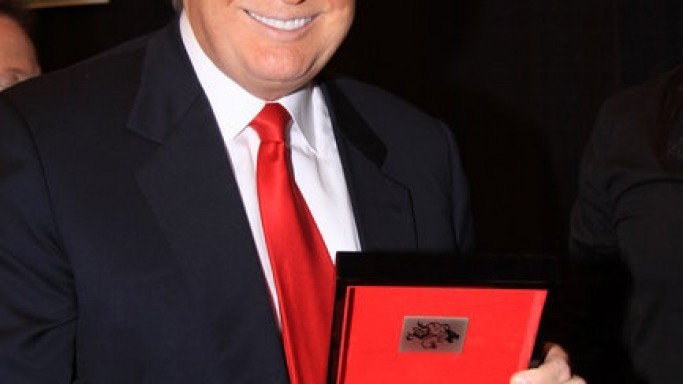 Donald Trump wants his assets and accessories to be a symbol of his prestigious and high performance reputation. 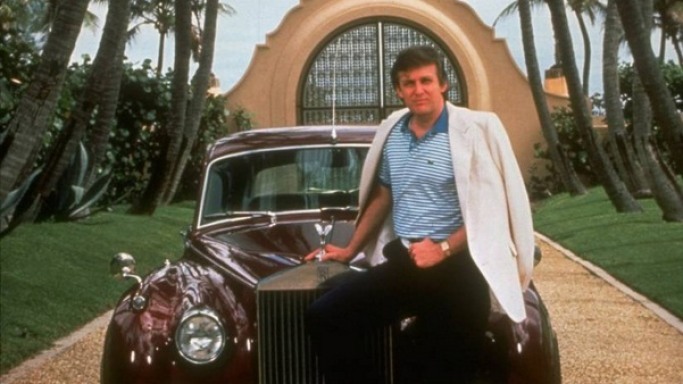 This super car is exactly the perfect combination of features that Donald Trump looked for. It is a car that gives high performance through its grand touring amenities, outrageous styling, and ability to secure a primo valet spot. Trump’s love for objects of luxury is not hidden from anyone. His one of the first cars was a Rolls Royce Phantom. With a price tag of almost $ 300,000, the car is not something that everyone can afford. However, with its beautifully sculpted body and ultra luxury amenities, it is definitely the most desired car for everyone. 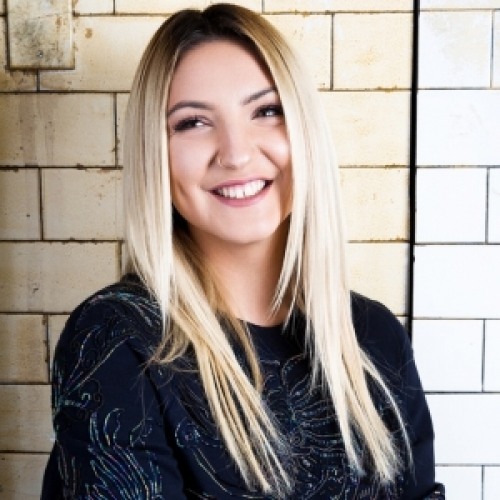 Donald Trump married to Ivana Trump who was born in the Czech Republic and she is a fashion model. Ivana and Donald had three children before the first of the Donald Trump marriages ended in divorce in 1999. Marla Maples and Donald were married from December 19, 1993 to June 8, 1999. .Marla said that she " tried unsuccessfully to get out of the prenuptial agreement she signed before marrying Trump". She left the marriage with over $1 million.After accusations of infidelity, the couple divorced in 1999. They have one child together. Donald and Melania got married on January 22, 2005 at Bethesda-by-the-Sea Church in Palm Beach, Florida. Melania's 50 pound wedding dress was designed by John Galliano of Christian Dior. The white duchesse satin dress, with a 13-foot train costed approximately $150,000 and had almost 300 feet of material and 1,500 crystal rhinestones and pearls. The site of the reception was a 17-acre, 118 room Mar-a-Lago Club located in Palm Beach, Florida. The Mar-a-Lago's $42-million ballroom was a luxurious and ornate room. Another unique thing about the wedding was the cake. It was five-foot-high, seven-tiered, 200 pounds, 32 inches in diameter, covered with approximately 3,000 white icing roses, and filled with Grand Marnier butter cream. However, it did not have the traditional bride and groom on top. Melania Trump with Donald Trump on launching of her own business venture, a three part jewelry line. Melania Trump, business magnate Donald Trump, with Heidi Klum at the launch of 'Trump International Hotel and Tower' in New York City. Las Vegas is among one of the favorite holiday destinations of Donald Trump. He truly appreciates the casinos and the hotels located here. An internationally renowned center of entertainment, the city is blessed with abundant of glam and glare. 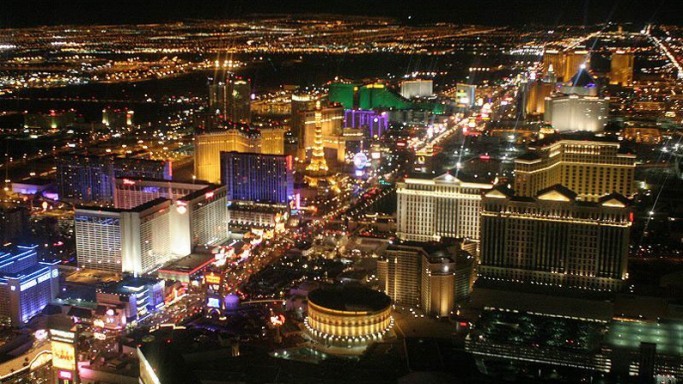 It's frequent portrayal as the hub of adult entertainment industry has earned it the title of Sin City. The city is at its best in night. Amongst the finest casinos and resorts of the world is Sheldon Adelson owned Bellagio. 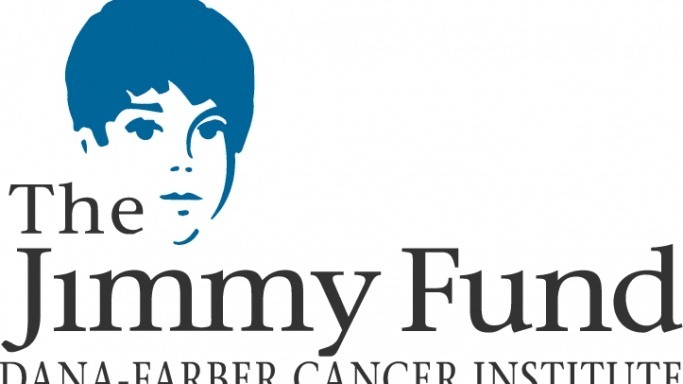 The Jimmy Fund is an renowned foundation that contributes to the fight against cancer at Dana-Farber Cancer Institute, Donald trump supports it and helping to raise the chances of survival for children and adults with cancer around the world. 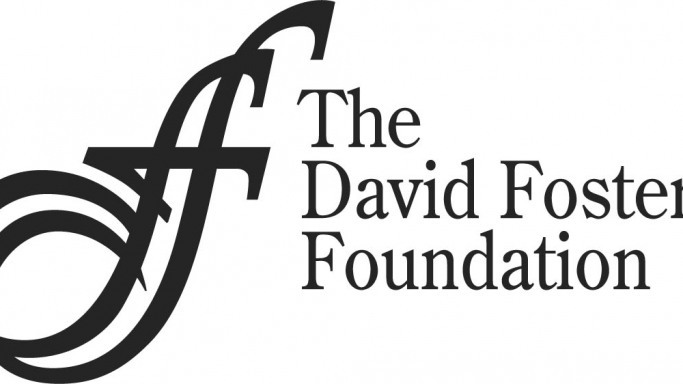 David Foster Foundation works with the objective of providing financial and emotional help to the families of children needing organ transplants. SickKids transplant patients and their families enjoyed a rare opportunity to meet David Foster, world-renowned songwriter and producer. 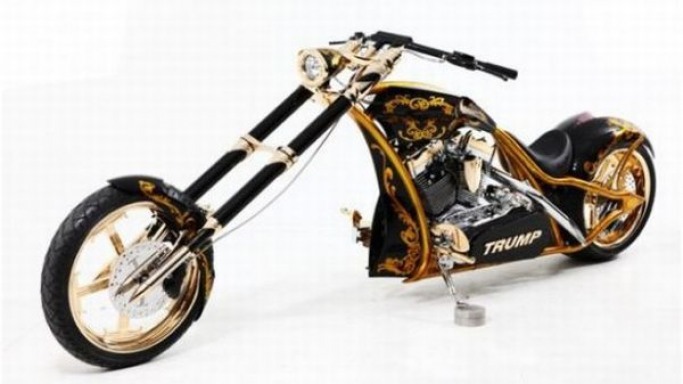 The American real estate mogul adores luxury and gold, that’s the core reason why he received an exceptional “Custom Gold Chopper” as a present. Crafted by Paul Teutal Sr. from “Orange County Choppers”, the bike was gifted by Paul to luxury lover Donald on the episode of ‘American Chopper: Senior vs. Junior’, which was aired on Discovery channel. Created from 24 carat gold and elite custom parts, the Gold chopper exhibits a spectacular styling. The majestic bike features a low seat height and an extra fat rear tire for ease of handling if Donald wishes to ride it. Produced from extensive procedures of design and fabrication, the 100% American made bike also features “TRUMP” embossed on it, making it more elite and distinctive. 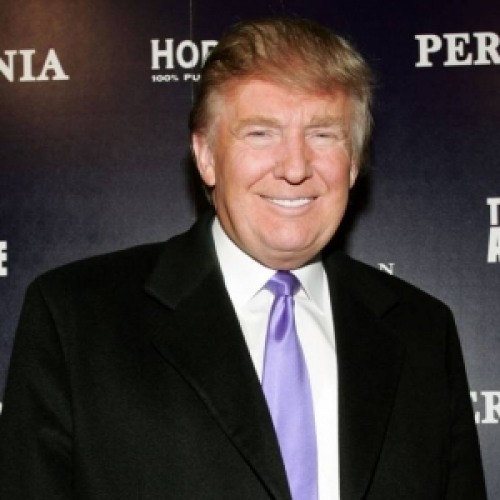 Donald Trump attended the celebrity Apprentice Live Finale 2009 that is sponsored by Azad Watches. He likes to wear AZAD brand watches. 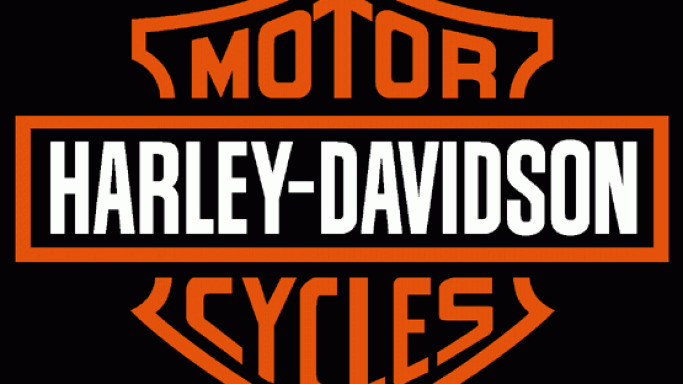 Donald Trump has been spotted driving Harley-Davidson motorcycles several times.